The Filer fills the gaps in cloud providers’ offerings, delivering the performance, advanced security, and availability users expect from higher end NAS solutions and the flexible, cost efficient, bottomless capacity of cloud storage. Store files in this simple and elegant file server that connects to the cloud. Store your company's files with cloud storage providers Amazon, Iron Mountain, Rackspace, AT&T, Windows Azure or Nirvanix using Nasuni's virtual file server. Free up storage space while creating offsite copies. 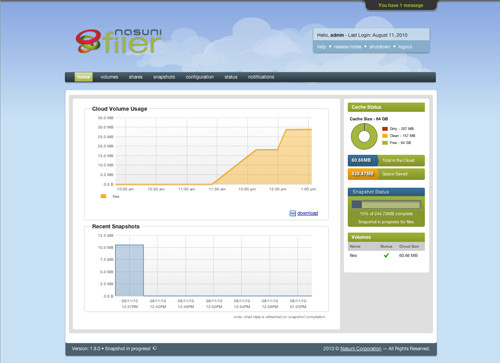 The Nasuni Filer is the simplest, most secure way to store your files. Complete Active Directory and CIFS share integration. Installation is fast. Download the compact virtual machine and never run out of space again. Nasuni is your integrated storage and backup system that replaces clumsy tape rotations. 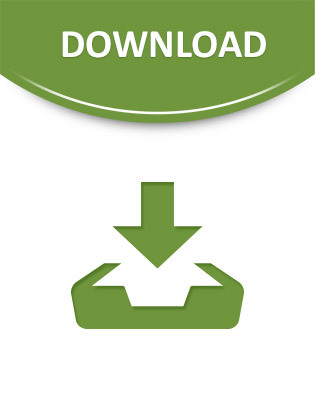 Download free trial. Free cloud storage with no capacity restrictions, and 24/7 tech support. Your trial will last 14 days from installation, after which you can continue using your new storage and file protection tools by subscribing to Nasuni.